Marston’s Corner Baptist Church is routed in an area originally known as the Pejepscot Claim. The land was deeded from the Pejepscot Indians to Jonathan Bagley and Moses Little around the year 1773. In the winter of 1793, Elder Jesse Lee, a Methodist minister and circuit rider from Prince George County, Virginia, preached at a public house kept by Mr. Rowe. At that time Elder Lee was requested to send a Methodist minister to the neighborhood, known as Nason’s Mill. The following year a Methodist minister was sent every four weeks. In 1795, a Methodist class was formed which was supplied with preaching every four weeks for thirteen years. By 1809, the class had no organized existence at all. In 1808, Rev. Daniel Hutchinson came to the area and preached once in eight weeks for four years. A revival spread so that during the first year a request was written and signed by eight people to the Bowdoin Quarterly Meeting for a council to organize a church. The request was denied by the Methodist claiming it was “their” ground and it had been well cultivated for twelve or thirteen years, and that there was not sufficient population for two churches to exist. The leadership gave no reply and continued to meet, postponing the organization of a church to a later time. In September of 1812, during the war with England, increased interest manifested in the Free Will Baptist meeting and the church was organized in the schoolhouse at Littlefield’s Corner, and later to the house of ruling Elder Nathaniel Sturgis. Twenty worshipers met in the schoolhouse, “who being assembled began religious exercises by praise, prayer and exhortation.” The Reverend Hutchinson, the moderator and B. Thorn, were there to secure the procedure. The church was named as the “Church of Christ”. The church very early took strong stands, over the years, including a stand against liquor. In early 1832, a one hundred-fifty member “Temperance Society” was organized. In 1834, the church voted not to except persons into membership unless they totally abstained from alcohol, except for medicinal purposes. During the struggle against slavery, the members were prominent in working or speaking against it. Three members of the church, Reverends Sturgis, Tracy and Perkins were persistent agitators. It is known that they were all somehow involved in the “Underground Railroad” and the church itself served as a station. In September of 1838, the church voted to change its name to the “Free Will Baptist Church of Danville and Poland”. Reverend Jonathan Tracy led a ten day meeting in March 1840, which led to a decision to build a meeting house. 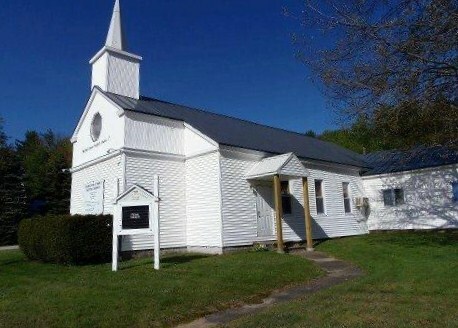 The church edifice was raised on April 17, 1841 which consisted of a frame of 36’ x32’. It was dedicated on May 11, 1842. Years later, the church’s was renamed “West Danville Free Baptist Church” on November 25, 1893. In 1952, a parsonage was built two houses down from the church on Beech Hill Road, overseen by Laurence Jordan who grew up in the neighbor. On May 21, 1954, Laurence Jordan was formally ordained and named pastor until 1956 when he and his wife were commissioned to serve as missionaries to Brazil. During his tenure the church separated from “The Parish” and the name was changed to “Marston’s Corner Baptist Church”. In 1963, the church withdrew from the “American Baptist Convention” and entered the “Conservative Baptist Churches of Maine and America”. In the 1980’s, Marston’s Corner Baptist Church left the “Conservative Baptist Churches” and became an “Independent Baptist Congregation”. The last remodeling of the church was completed in approximately 1984, under Pastor Earl Hodgkins, when an annex was added. In the following years under Pastor Mark Lones, the educational wing and sanctuary were remodeled, also including the installation of a metal roof. 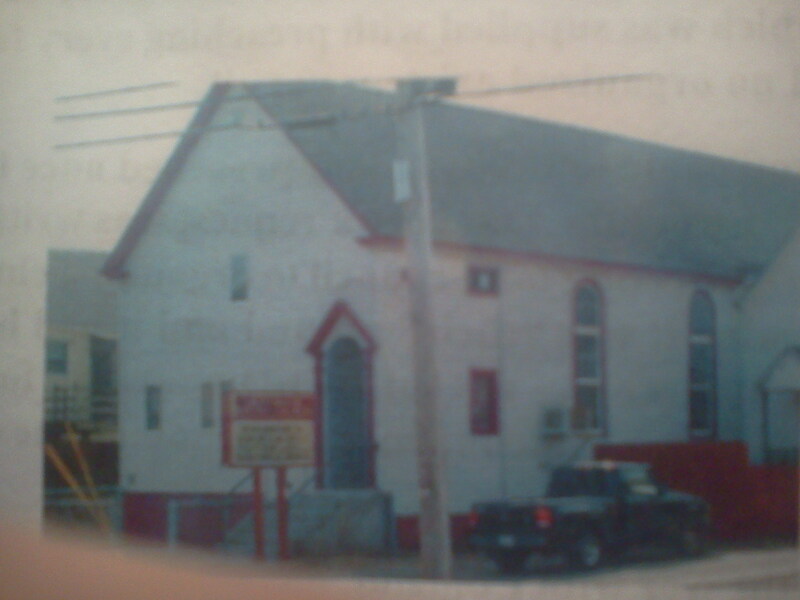 In May of 2008, the congregation of Marston’s Corner was providentially merged with the congregation of the former Lighthouse Baptist Church located on Lincoln Street in Lewiston, Maine.